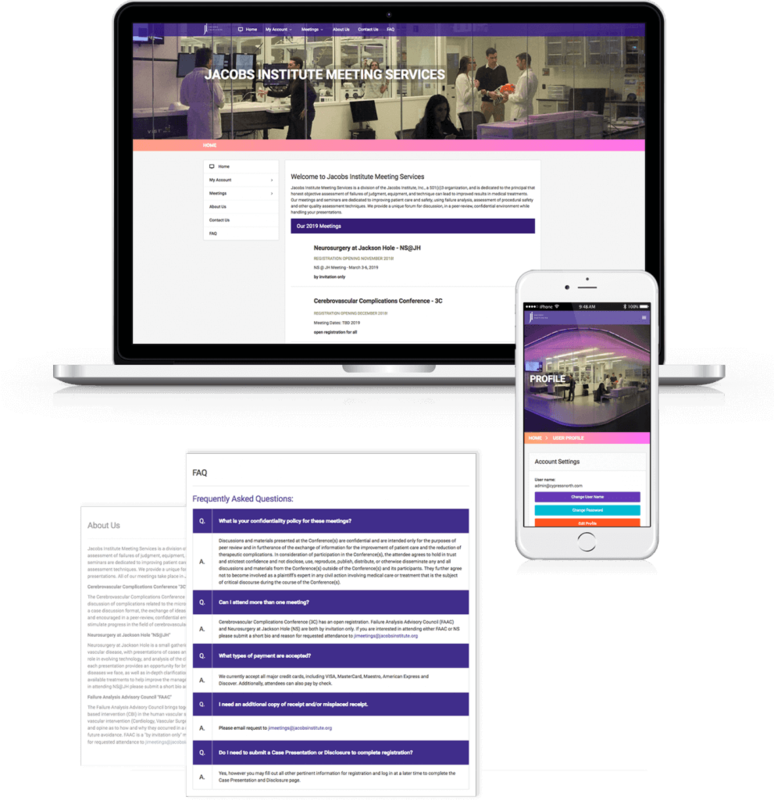 The JI Meetings client-facing website allows medical professions to create their own accounts and register for upcoming Jacob’s Institute meetings. Users can view their upcoming, current, and past meeting registrations, submit important meeting documents, register for social events, make electronic payments, and even view and print receipts. Managing a conference is no easy task, made even more difficult when dealing with sensitive medical data and complex rules regarding who can attend the conference. 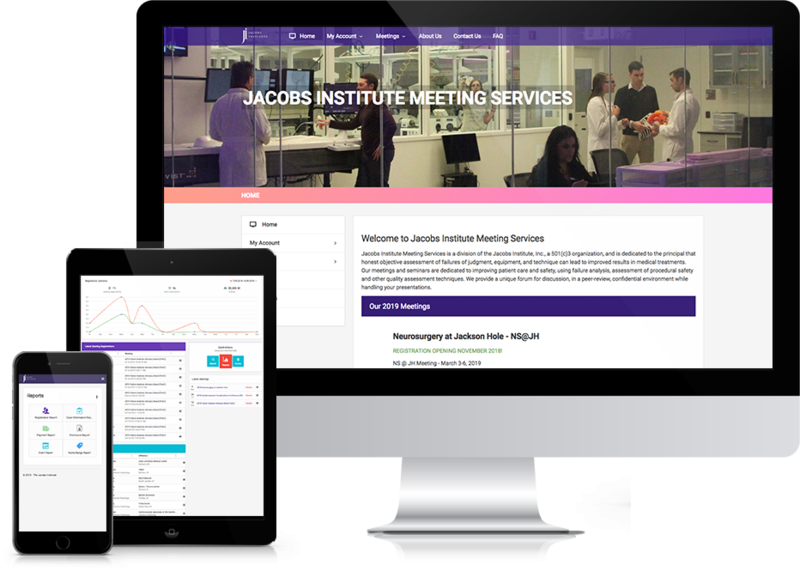 Cypress North built the JI Meetings Admin dashboard to allow the staff at Jacob’s Institute to handle the maintenance of the JI Meetings website. 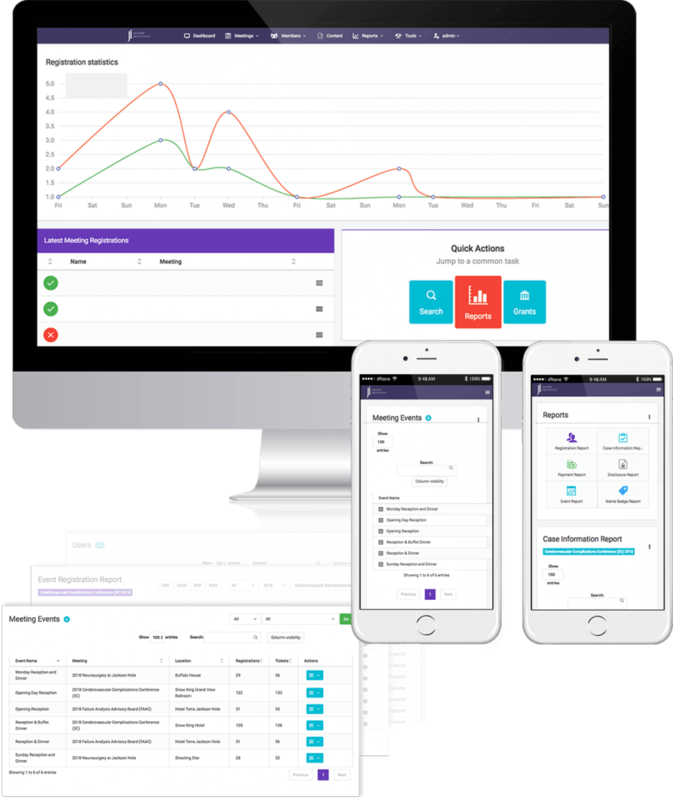 This Admin portal includes a complex user role system and user management, a robust invitation manager, and a reporting section.